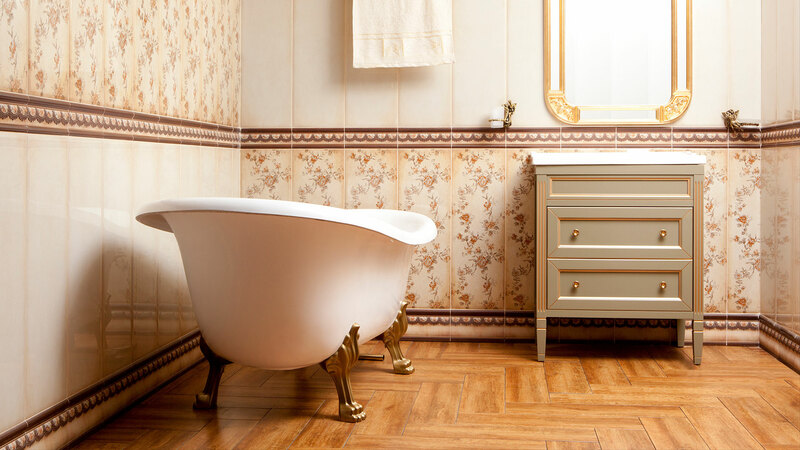 M. Kendall Ludwig, president and principal designer for CurlyRed, is a proud member of the AAUW-Garrett Branch. The national organization of AAUW has been empowering women across the country since 1881. Locally, the AAUW-Garrett Branch was started in 1946 and has been active in our community supporting local women ever since. The mission of AAUW is to advance equity for women and girls through advocacy, education, philanthropy and equity. The AAUW-Garrett Branch raises funds for several scholarships that support local women in attaining degrees and certifications to advance their opportunities for career advancement and financial security. Their fundraising efforts including helping to administer the End-of-the-Line Bookstore at the Oakland Train Station. 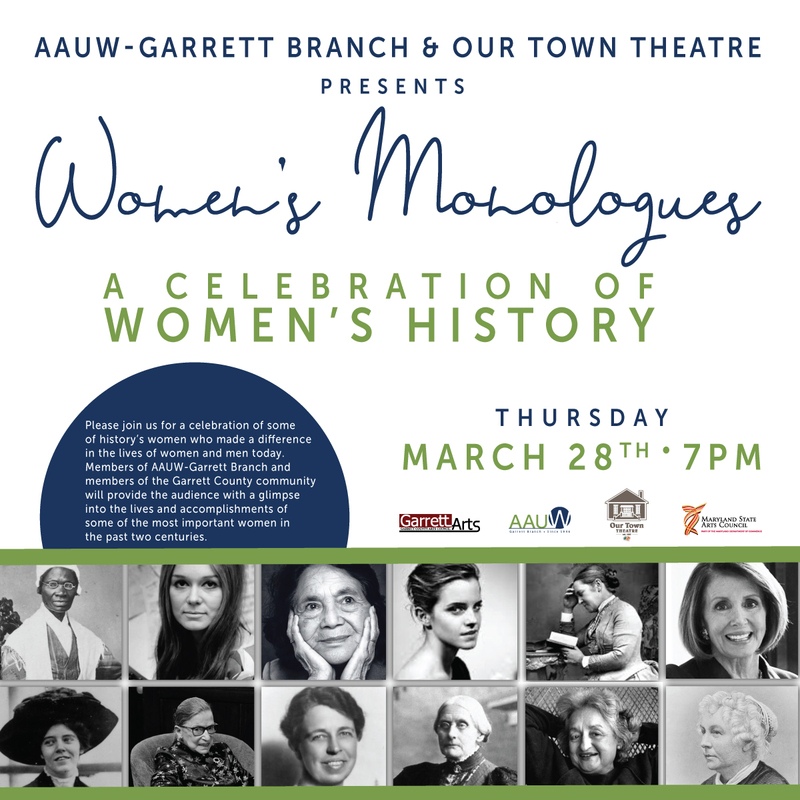 Tomorrow Night, March 28th, Our Town Theatre in Oakland, MD is partnering with AAUW-Garrett Branch to present "Women's Monologues: A Celebration of Women's History," a celebration of some of history’s women who made a difference in the lives of women and men today. 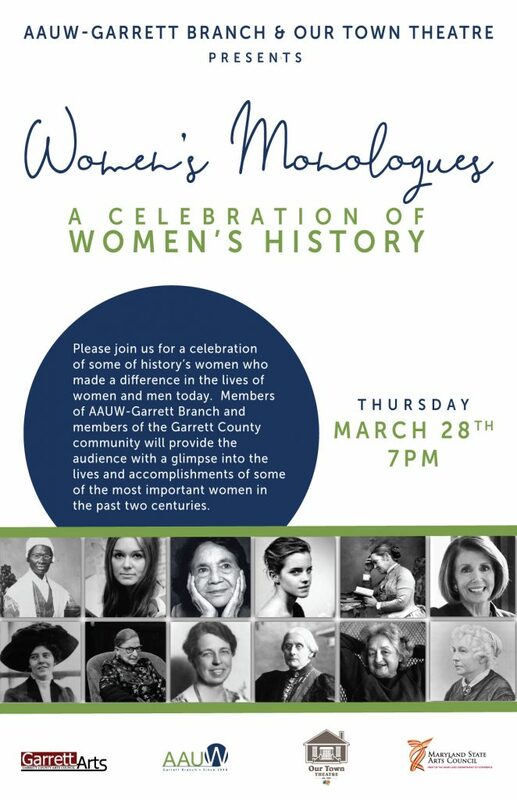 Members of AAUW-Garrett Branch and members of the Garrett County community will provide the audience with a glimpse into the lives and accomplishments of some of the most important women in the past two centuries. We loved designing the poster for this event, and can't wait to see these famous women come to life tomorrow night! The event is now SOLD OUT, but you can get added to the Wait List by calling Our Town Theatre at 301-334-5640.